I think he has the basic hull glued up. I'll start taking pictures soon as I get there this afternoon. 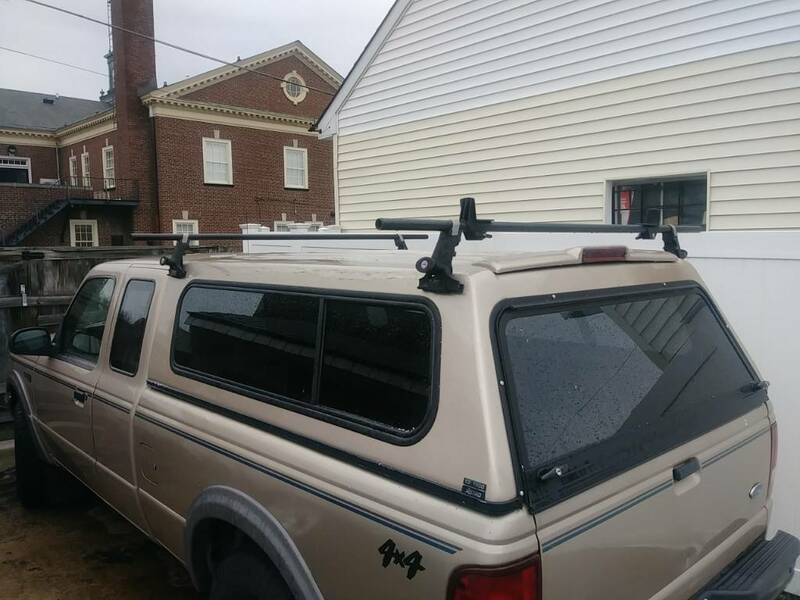 finally got the racks on my truck so we'll start with that! Nice! Good friend that Looking forward to the pics. Even has the spar stock & sail! Sure is a tiny little thing! I just sent a text to the former owner seems I don't have the instructions... which may slow me down a little bit. 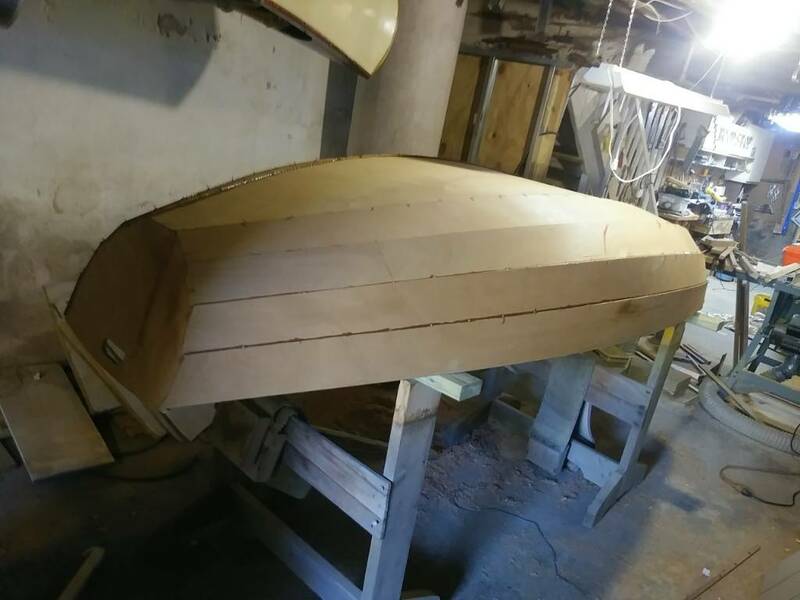 I guess I can't complain I can't get this boat down the basement because there she is didn't even need help with this I think it's actually lighter than my canoe, of course it's not finished yet. 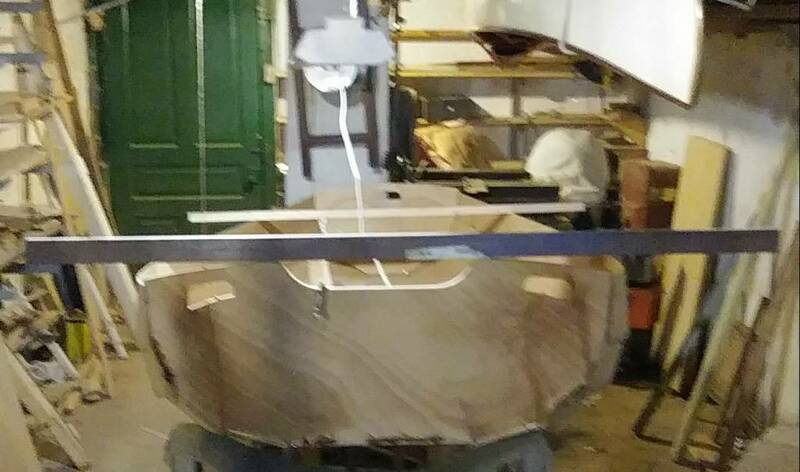 The transom and bow panels are not glued in yet they're just wired. Anyone have one of these dinghy's?? 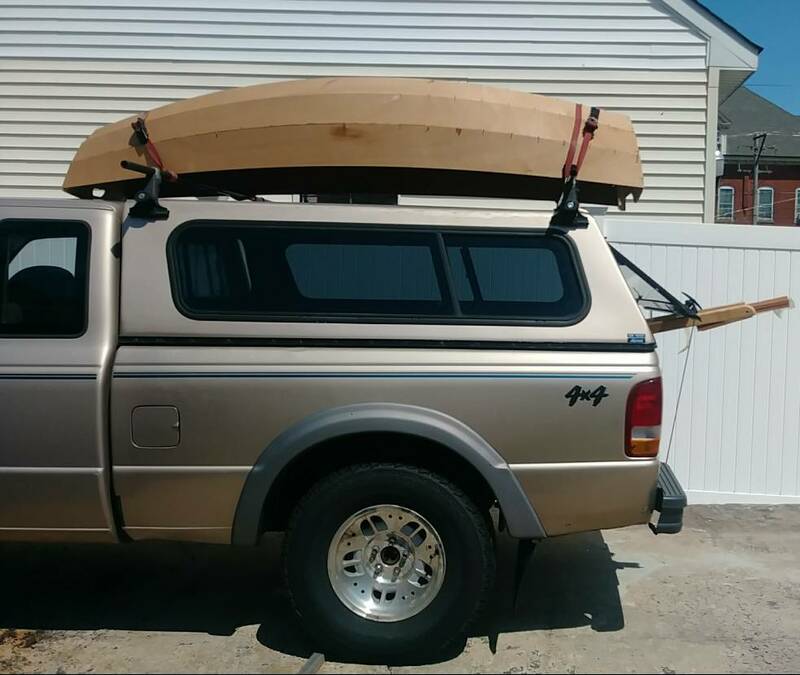 I need MEASUREMENTS, mast step & center thwart please help??? Last edited by DeniseO30; 04-15-2019 at 09:01 PM. I'm shouting out everywhere I can Hugh. the owner is packing, getting it ready to sell so they're quite busy, I'm hoping he still has the plans book. Builders manual is $15, plans & manual is $69 from CLC, worth it perhaps if previous owner cannot deliver. Last edited by DeniseO30; 04-15-2019 at 09:03 PM. I'm already wondering what things I could do make this little yacht a little more distinctive from the others! Even the Tiller is made from laminated plywood! Obviously I'll make one out of Ash and mahogany save the plywood tiller as a spare. I really don't like the centerboard thwart / support it takes up a lot of room, seems to me it doesn't need to. Thanks Anders, Hugh, Not a "expert" by any means really but I love it all. I responded to you over on FB. I haven't seen you on CLC's forum yet. Are you trying to locate the bulkheads and thwarts to stitch them in place? The mast step nestles in the corner of the forward buoyancy tank bulkhead and the bottom panel. That goes in much later, but you're right, the bulkhead needs to be in the exact right location for proper weather helm. I'm ASSuming you have the manual on order, but you want to get a jump start on this next step. I'll see if I can find my manual and scan the appropriate page(s). If not, I can try to measure the boat if needed for you. As far as jazzing it up, I think some nice, bright rubrails at the bottom of the shear plank would be nice. Possibly some leaderboards. I'm thinking seriously about adding breasthooks to my Passagemaker. My tillers are always solid mahogany and they're gorgeous. I'm going to Dremel in an anchor, paint it black and then clearcoat over it. Scuppered inwales would be amazing. I was going to do them on my Passagemaker, but ran out of time. Also, laserjet printed rice paper designs under the epoxy/varnish can be really nice looking. 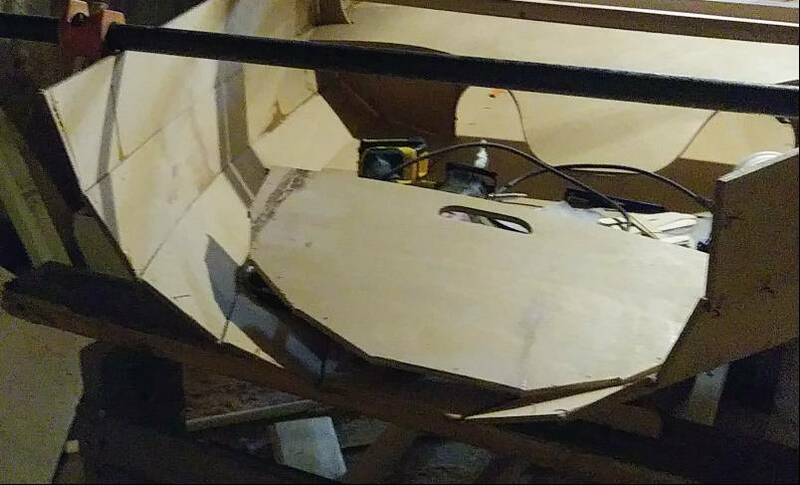 I'm not sure what you mean by the centerboard thwart /supportaking up too much room. I hope I'm not insulting your intelligence here, just trying to help. Sounds like you know your stuff. I'm presuming you're going to take her sailing, which means you'll need the daggerboard case as designed installed. Not sure how much you can tweak anything there (I always wanted to install cup holders), but I'm interested in seeing what your thoughts are on this subject. I'm working up in my attic today anyway, so I'll keep an eye out for the EP manual and scan the appropriate diagram(s) for you. Good luck with your new baby! I joined CLC bulders's forum CpnSkully, "Mswdnboat" the center is the most important measurement. I posted over on CLC, but also thought I'd post the same here. 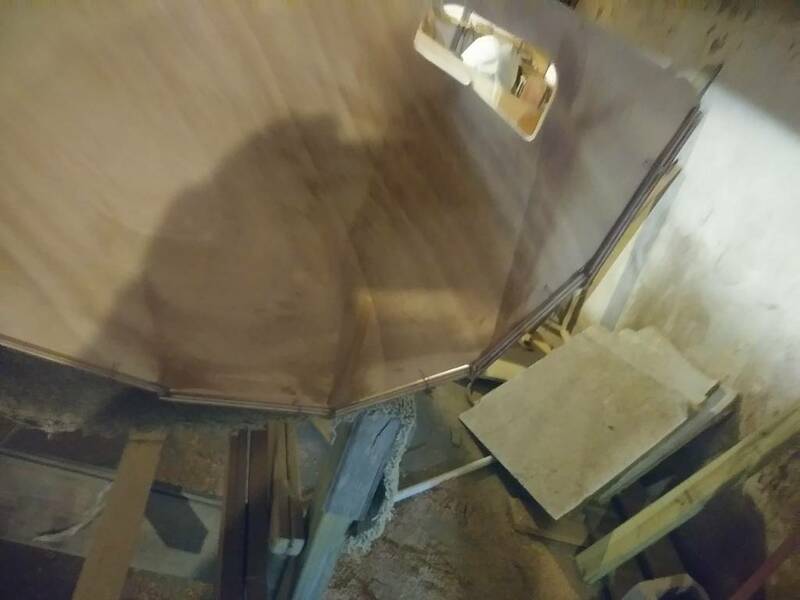 Okay, the forward bulkhead that established the mast step location is 15-1/8" aft of the leading edge of the forward transom. 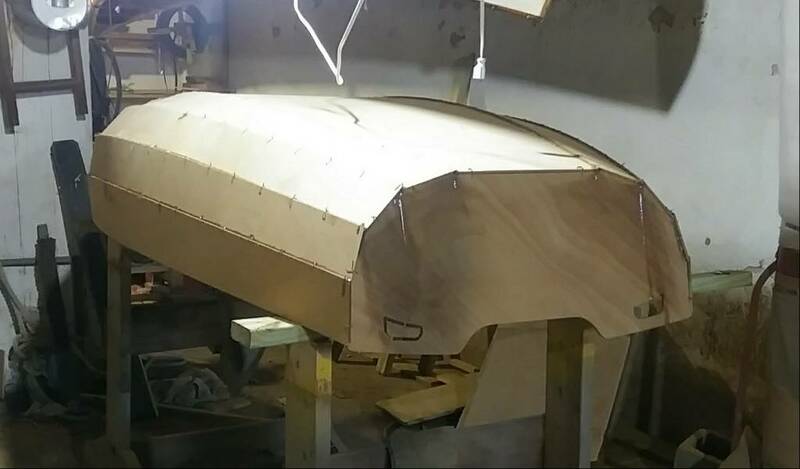 The bulkhead beneath the center thwart that establishes the aft end of the daggerboard case is located 83 1-1/16" aft of the leading edge of the forward transom. I guess your kit is old enough that they hadn't started using the tabs to locate the bulkheads. Oops, too much caffeine, the center thwart is 52-1/4" aft. The aft bulkhead is 83-11/16", not 83 1-1/16". The font spacing is a little weird. Sorry. Captain Scully thank you so much! exactly what I needed!! none of the online photos were clear enough. I built one. Don't bother mounting the forward oar locks. I did, but my knees won't allow the oars out of the water for the return stroke (I'm 5'10"). Also, mine turned out heavy. Otherwise, I like it. CaptnScully 52.25" was magic number for the center bulkhead! I'll need to saw the glue apart on some of the plank ends because I think the gaps are larger than they need to be... Which probably only makes a difference to somebody like me. Guessing this is where is PO may have stumbled stalled because it's difficult to clamp angles for most people, it's just part of the job for boat builders. Last edited by DeniseO30; 04-14-2019 at 12:53 PM. I was just checking out the MAS resin and hardener that came with the boat. The resin is quite thin in viscosity. That's fine. You can always add colloidal silica or wood flour to thicken it. You can't "un-thicken" viscous epoxy. It's interesting, I've been using West products for like forever. The 207 special hardener actually makes their resin thinner for saturating cloth. I still have most of the products from when we were building strip canoes. And by habit over the years I save sanding dust. Cherry and mahogany sanding dust turn almost black, cedar sanding dust dark brown, West fairing filler tends (not for gluing) to stay tan in color. And of course Cabosil, is white and hard as stone. I’ve used MAS- it’s nice, easy to work with. But imagine you could use whatever you like. 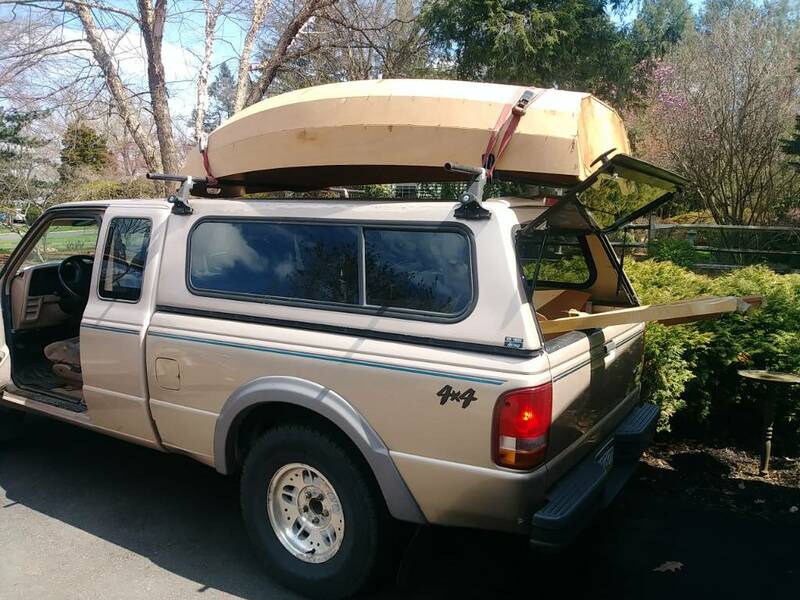 Nice boat- fun project! I mixed a small one pump batch.. still soft! 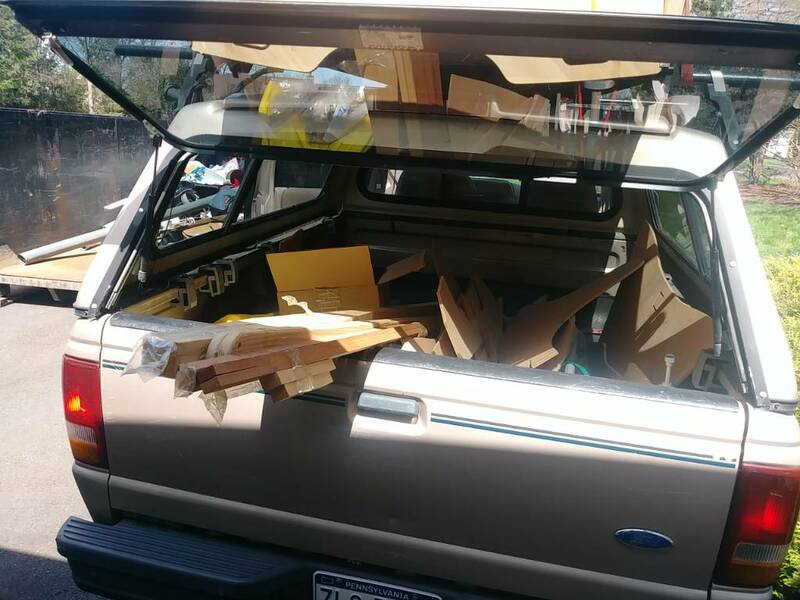 The pumps probably weren't primed properly from sitting idle. I'm using MAS on my project now simply because CLC is nearby and I can pick it up from them without paying shipping. FWIW the resin viscocity is very similar to System 3 Silvertip which I was using previously. Switched over from wintertime fast hardener to summertime slow a few days ago. My fillets were still plastic but stiffenning up when I checked them after a couple of hours. I constantly check a boat for windage when it's under construction. This hull twists too easy. The slow hardener finally, set up. 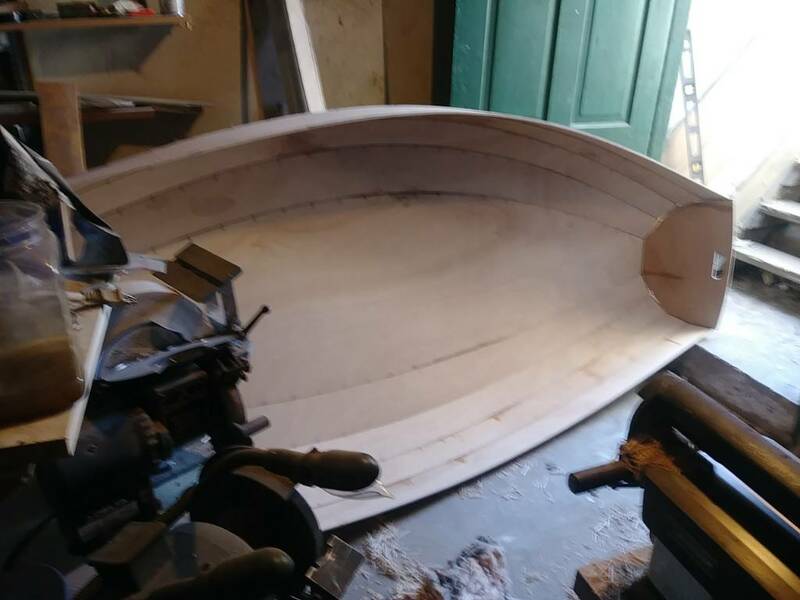 It looks like, from watching build videos, the center bulkhead is set before the transom and bow panels, which was not done on this boat, but it doesn't appear to be a problem so, I think it's time to start filleting! (After I close the gaps on the bow panel. The twist factor was why I took my Skerry apart 'til I had space where I could set it up and do it without moving it. Hope to have a little more room soon...building a mezzanine in my shop to get cr@p off the floor. it seems like the moment you don't check is when it gets locked in the build and you have to take the boat all apart to fix it! It's really critical on canoes, and very obvious even if it's very very slight! I cut the horses down to 28" puts the pram at a perfect working height. 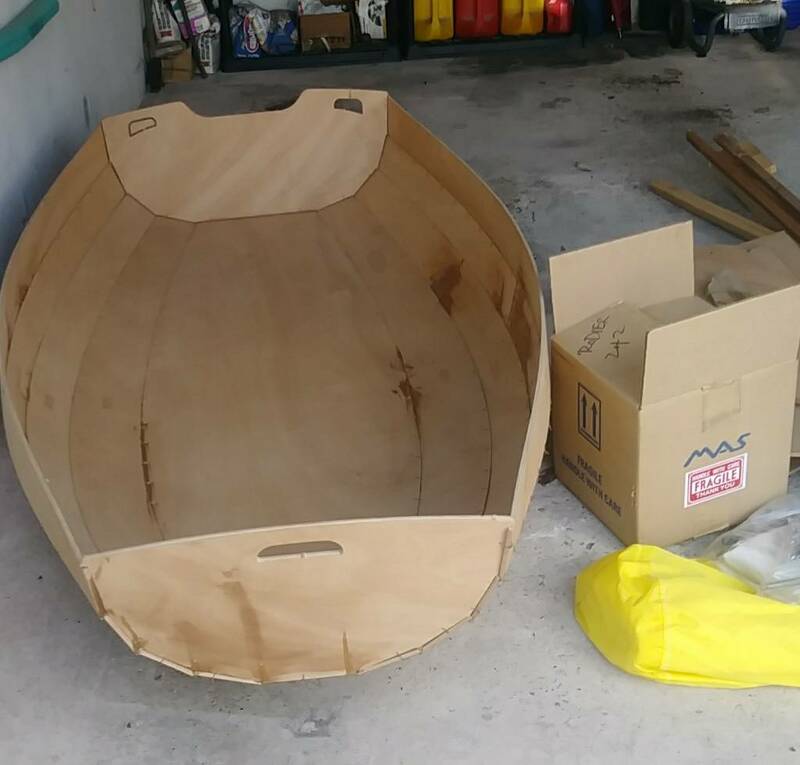 I'm slightly amazed at how easy this boat is going to go together! 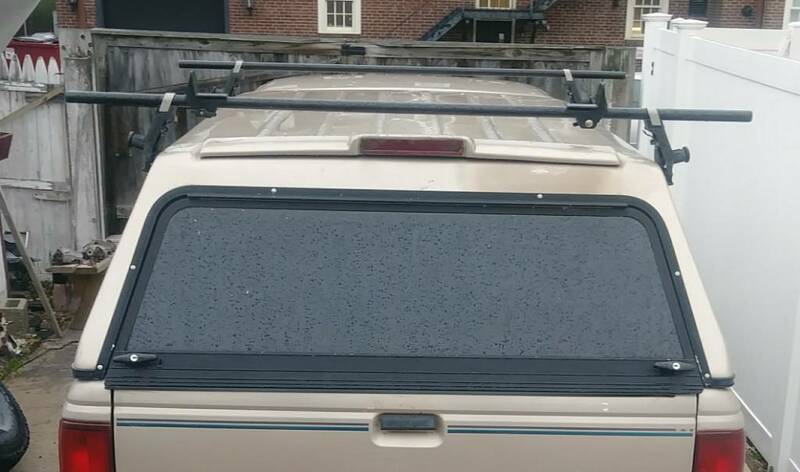 Took the bow panel out. 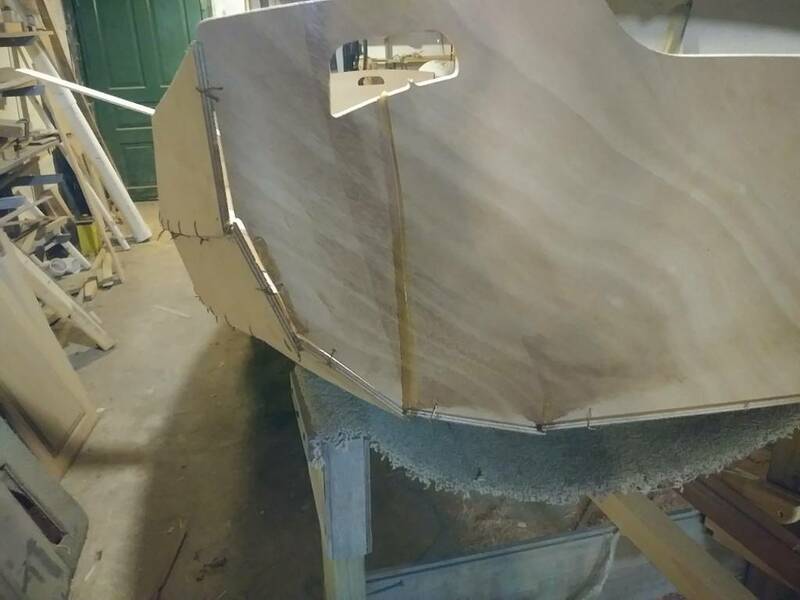 Will drill some more holes to wire the planks tighter to the bow panel. Last edited by DeniseO30; 04-15-2019 at 09:06 PM. I've built two of the nesting version from plans (with gracious permission from CLC on #2). I think they are great and fun little boats. There are some nettlesome spots during planking and construction, as you are discovering. 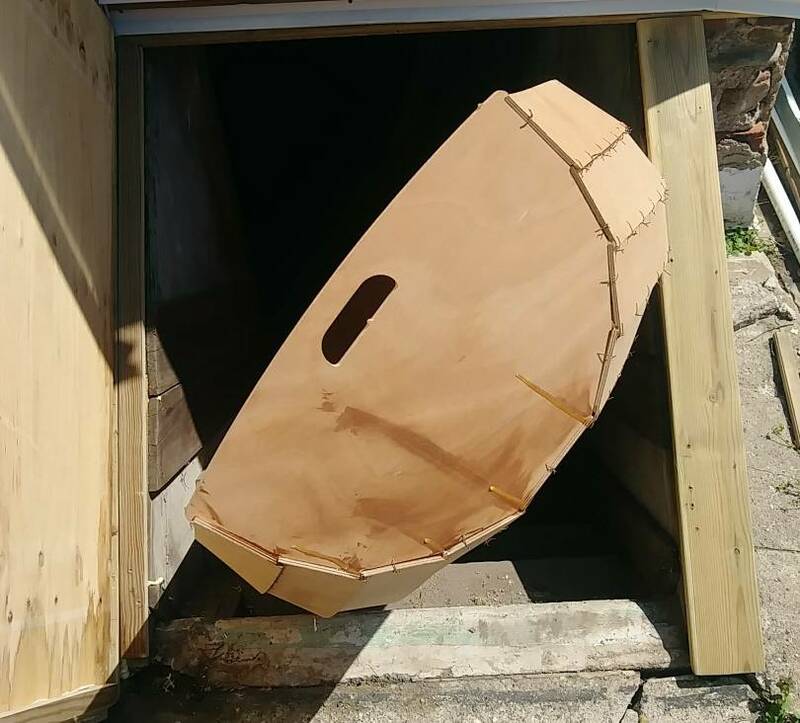 There is quite a bit of twist at the aft transom and getting an acceptable joint is tricky. I first tried with just wires and broke them before getting anywhere close. I then tried thicker baling wire but only succeeded in enlarging the wire holes. I ended up screwing blocks to the planks and the transom and then used c-clamps. Worked a treat and the screw holes are next to invisible. I can't tell if your planks are joined yet, ( I hope not ) but there are some things to watch out for when using the Lapstitch method. As you are aware, the planks are joined by a rabbet on one plank and then filled with epoxy. These are nice and strong but you must mix epoxy with colloidal silica/wood flour very precisely to get the proper thickness. Too thin and the mix runs out of the joint. Too thick and you may have voids that you can't see. This is very bad because water will certainly get in them, compromising the whole encapsulation scheme. I used four passes on each seam before I was satisfied no voids existed. One with neat epoxy that was allowed to partially kick, then a thick tabbing one that mostly filled the joint, then after pulling wire another thick one and then a thinner one that filled any voids. This was very time consuming and I'm going back to glued lap for any future clinker construction. Another thing to watch for is plank/transom/bulkhead joints. They are made from two pieces of overlaid ply, one smaller than the other. For some reason the plans call out a very large recess at the edge used as as trough to bed in the fillet. These are very hard to fill with smooth fillets because any fillet mix soft enough to smooth will sag out of the joint. I ended up using three passes on these. One to prime, one to fill and one to smooth. Again, this was very time consuming. The rubrails are another problematic area. 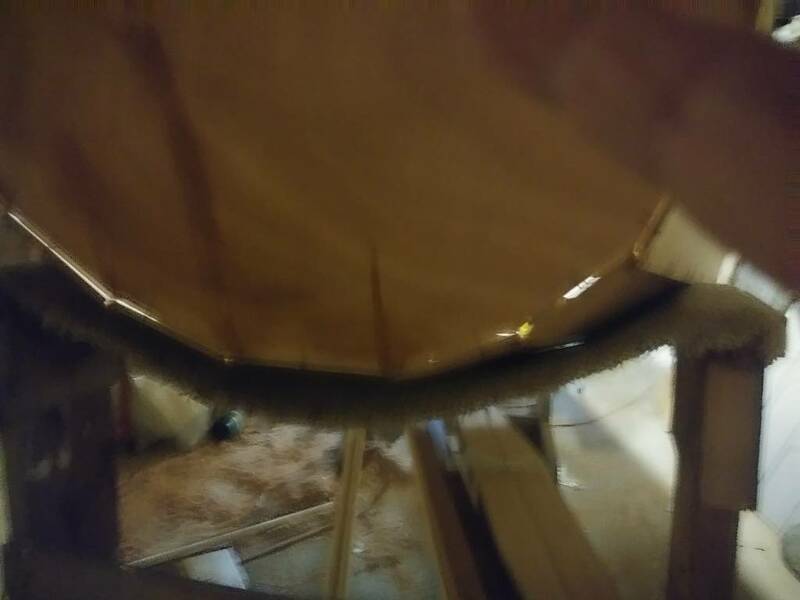 The plans call out two 1"x 1/2" strips to be laminated to the gunnel. I made mine from sapele, which is a somewhat stiff wood. On the first pram I tried to glue on both at the same time, as per the manual. The shape of the shear necessitated many serious clamps, not something lightweight like spring clamps or PVC clamps. I also had to brace the gunnels so they wouldn't deform under the pressure. On pram #2 I glued the strips on one at a time. This worked better but still required heavy clamps. This was time consuming. Some the above posts had suggestions for outfitting the boat. One poster recommended against two set of oarlocks. Seconded, the front rowing position is extremely uncomfortable. You also mentioned spacer-ed inwales. I wouldn't, the boat is so small that when you sail sitting on the floor you will have it endlessly jabbing you in the back making for very uncomfortable seating. Still and all, the time and effort was worth it. These are great little messin' around boats. Last edited by Dusty Yevsky; 04-15-2019 at 06:31 PM.